I have discovered that I love mommy-hood, which is a good thing, but I am starting to wonder if I love it too much? Is it possible to love being a mom to an adorable little girl too much? Since I quit working a full time and job and starting doing my favorite full time job, I have also discovered my photographer job has been pushed aside as well, but only with my own family. I am the worst photographer for my own family. I would really just like to enjoy the moment instead of hurrying to get the camera and take the picture. Its like the mechanic who doesnt like to fix his own car, or a house cleaner who hates to clean their own house probably. I have taken a few in the last two months though. 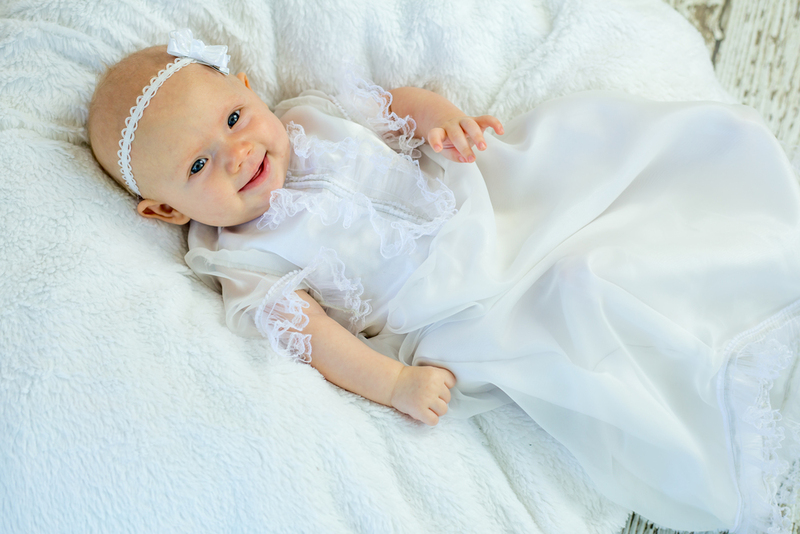 :) Tyla was blessed on her two month birthday, and thanks to Grandma for making her blessing dress. She also got to spend a few days with Great Grandma and Grandpa. She survived the 4th of July and even rode her first pony, sorta :). She doesnt even fuss when the hair bows fall in her eyes, she just falls asleep. She does great camping and hiking and even smiles through a wedding reception while mom is taking photos! I seriously love her more than I ever thought I was capable of!